Honestly, not sure why it was such a hit. THE most boring Marvel movie to date...actually took a couple of naps during it. It's all based on opinion. I thought it was pretty good. A lot of the black community went to see it for obvious reasons. You remind me of my uncle when it comes to rating movies by the amount of naps they took. 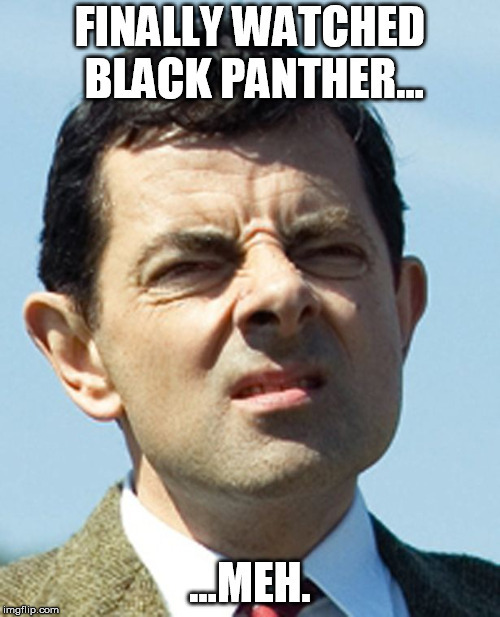 FINALLY WATCHED BLACK PANTHER... ...MEH.